“Steve Bloomers Watching,” they sing form the stands of Pride Park. A bronze bust of the man sits on a plinth built of bricks from the Baseball Ground positioned next to the home dugout. Despite such adoration even the more well-read followers of Derby County are in all probability merely aware of his position at the top of the east midlands club’s all-time goal scoring lists. More ardent followers of English football history may be conscious of how his pre-war record goal-scoring exploits established him as English footballs first icon. 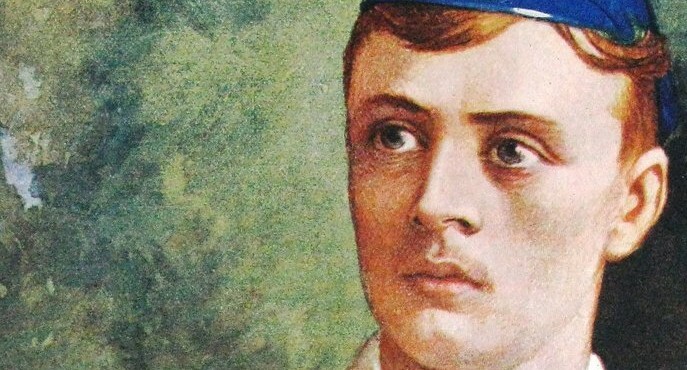 Few however, will be aware that nine years after hanging up his goal greedy boots Steve Bloomer set sail for Spain to try his hand at coaching in the small Basque town of Irun. For Derby alone he accumulated a staggering 332 goals in 525 appearances at a rate of a goal every one and a half games a tally boosted by 18 hat-tricks. A further 125 games for Middlesbrough were also fertile with 62 goals at a rate of effectively one in every two. Inevitably, such striking prowess was rewarded with International recognition where Bloomer scored a steady 28 goals in 23 appearances. A number of caps modest in modern terms but almost unprecedented at a time of few international encounters. Significantly, this was a time when a goal scoring reputation un-equalled and subsequent national fame did not provide an income one could retire on. Some of the most modest football achievements today allow for a lavish lifestyle in return, but bloomer’s sizeable achievements did little beyond paying the bills. It is a reality probably best highlighted by the fact that Bloomer would one day be employed as Derby’s grounds man at the Baseball Ground. One would need to possess a vivid imagination to picture messrs Xavi and Iniesta marking out the Camp Nou pitch to earn a crust. Football management was the career path Bloomer chose to follow but opportunities for a man of working-class roots were scarce. Managerial roles in England were seen as more befitting of men from more distinguished social backgrounds. It was not enough to deter Bloomer and staunchly he pursued coaching spells in Germany, Holland and Canada. 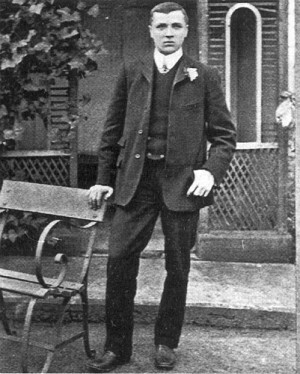 Bloomer had also spent many closed-seasons visiting European countries and uniquely for the time was comfortable with the notion of living in a foreign land. It was such confidence that influenced Bloomer’s decision on November 3rd 1923 to take the helm of Real Union Club de Irun, a team that today plies its trade in Spain’s Segunda Division B. It was an arrival of much notoriety as an established football icon of the time travelled to Spain which, in football terms, was in the early stages of its development both technically and organisationally. Rudiments of daily life were almost completely unknown to Bloomer upon his arrival as was the standard of football that would greet him. The Spanish game was much younger than its English counterpart which had now been functioning through trial and error for around 60 years. Despite minimal activity in the nineteenth century Spain’s immunity to a sport which had captured the imaginations of other nations so forcefully began to wane and by the early 1920’s football had garnered immense popularity in most regions of Spain. Clubs subsequently sought the support the knowledge and expertise of English coaches affectionately branded as ‘El Mister’s’ to harness and organise the natural flair and passion their players possessed. In Real Union’s case the club saw wily old Bloomer’s experience as a way of reaffirming itself as the region’s top club following hated rivals Real Sociedad’s victory in the regional championship the season prior to his arrival. The prize Real Union so desperately sought was the ‘King’s Cup’ or in Spanish parlance ‘Copa Del Rey.’ Of course it is a name now assigned to the Spanish Cup, a knockout competition running parallel to the national league La Liga. Yet the Copa Del Rey which Bloomer’s Real Union sought to clinch involved first winning their respective province’s league before being entered into an eight team knock-out scenario with the league champions of the other seven respective provinces. The minimum requirement was the securing of regional bragging rights, a salvaging of the honour tarnished a year earlier. This was to be no easy task for Bloomer with two major obstacles to be negotiated. First, and fore mostly, the language barrier when delivering instructions to players and secondly having a team comprised solely of amateur players impacting on their availability for training due to professional work commitments. Nonetheless, Bloomer remained optimistically determined and focused training sessions on ball control and passing drills minimising the traditional emphasis on sprint and endurance training developed in England. It was an innovative approach effective in combating the aforementioned obstacles allowing Bloomer to deliver regional success as Real Union won their respective championship. With Real Sociedad silenced and Basque honour restored Real Union embarked on the Copa Del Rey play-offs. The unfashionable Basque amateurs dispatched of relative giants Sevilla and Barcelona, 3-1 and incredibly 7-3 on aggregate respectively. It was a fairytale-esque run which was subsequently rewarded with a fairytale final. The opponents; the nationalist capital club Madrid. The location; Atocha Stadium, San Sebastian. Home of their bitter rivals Real Sociedad. A tightly contested match was decided by the solitary strike of Real Union’s winger Jose Echeveste Galfarnoso. Real Union, against considerable odds, had clinched the King’s Cup 1-0 in what was not just a victory for Real Union but a symbolic triumph over the despised nationalists of Madrid. A victory over the might of Spanish Football made all the more special by its location in the back-yard of their Basque rivals. It was an achievement which indisputably owed a great deal to the standards set by a manger with 31 years of football experience and such a storybook ending was greeted with immense rapture as the now football-mad Basque town was beside itself with joy. Bloomer, a living legend to the people of Derby and household name in England, was now declared ‘Saint Steve’ by the jubilant Basque town’s public. 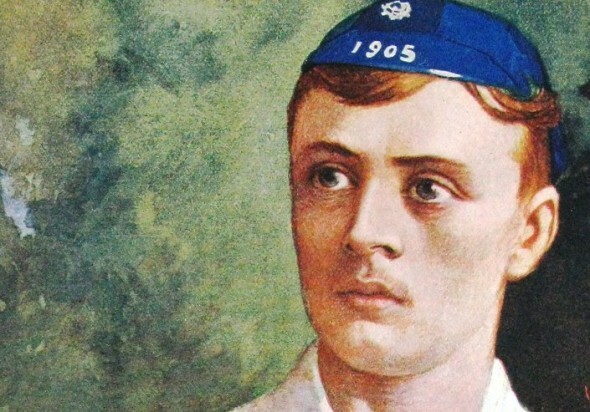 Throughout his football life where Bloomer went adulation naturally followed, but even he had not been revered as saintly before. It was a remarkable managerial debut guiding a squad of foreign amateurs to Spain’s most illustrious accolade of the time. It also meant the bar had been set incredibly high and ultimately Bloomer’s second season was less successful. Bloomer maintained his cherishment of Irun and for his own playing staff as they implemented the standards he expected and enforced. However, he became disillusioned with the wider Spanish game as he felt players, officials and systems he was asked to work with and against did not match the professionalism he was used to and had in turn instilled in his Real Union side. Guipuzcoa bragging rights returned to Sociedad, with Barcelona eventually taking the King’s gold back to Cataluña. Bloomer parted company with the club at the end of his two-year contract but not before a remarkable 4-0 victory of the touring giants Boca Juniors who had previously dispatched of Real Madrid and Barcelona. The famous Argentineans were left astounded and consequently the club acquired a cult status which lasted beyond Bloomer’s reign. Domestically, Real Union were eventually superseded by the regions big cities of Sociedad and Bilbao as professionalism came to the fore. Nonetheless, Bloomer’s impact on the town, region and Spanish football had been one of great significance, contributing through his methods, in the ensuing upsurge of Spain’s football development. What a fantastic story and I have to say, one I had never heard of before!